Garnett is one of the most intense players in the NBA. Brandon Armstrong spent his summer becoming famous from his wide set of NBA impressions, ones which included impersonations of Carmelo Anthony, Kobe Bryant, Russell Westbrook and more. 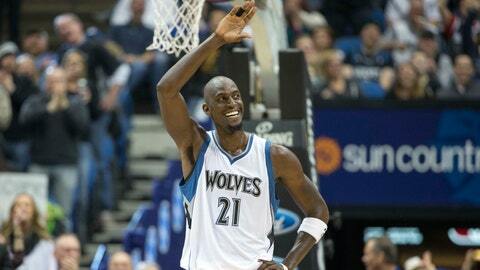 Now, he's added a new act to his show: Kevin Garnett.